I Love this track GOD!! Love The Lovers of Wobble!!! This Is why you Panda Boyz are my favorite Baila! Classy chill out, great ! Fidget Electro Dubstep Approved ! Thanks For Sharing ! nice one ..:--> Big up ..! Comment by I'll get our gold back. Type your reply here me gusta mucho!! 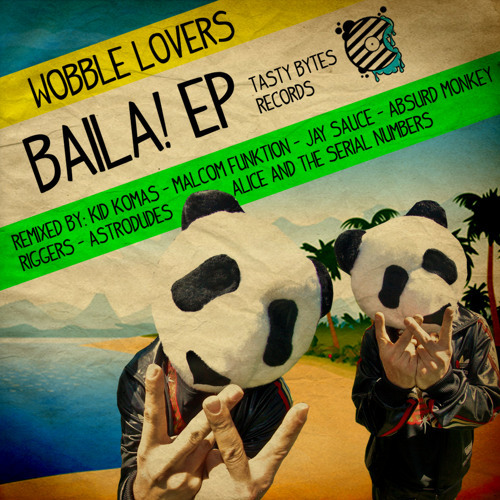 Buy Wobble Lovers - Baila! Users who like Wobble Lovers - Baila! Users who reposted Wobble Lovers - Baila! Playlists containing Wobble Lovers - Baila! More tracks like Wobble Lovers - Baila!